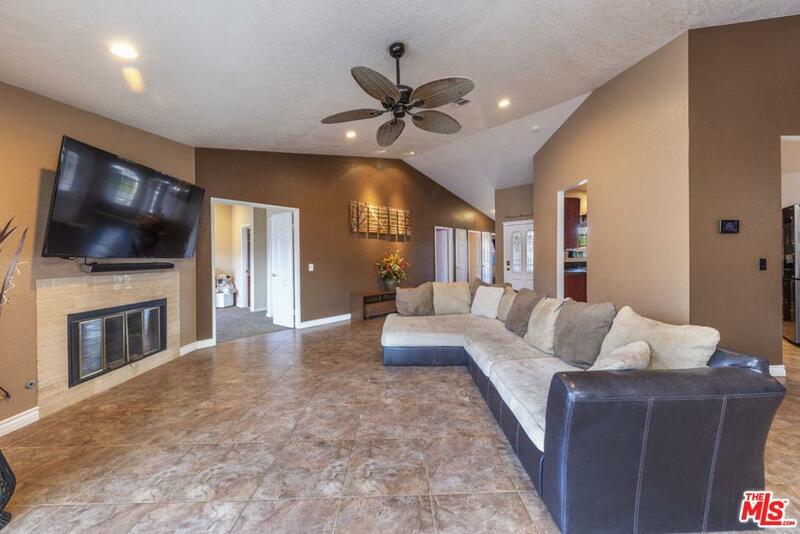 Big and spacious, this open-concept 4 BR / 3 BA / 3 car garage home has room for everyone! 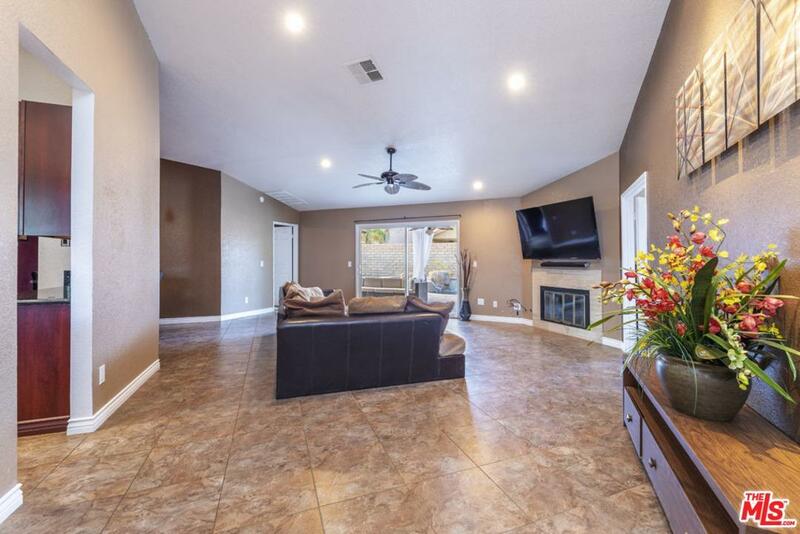 With vaulted ceilings, plenty of natural light, a grand great room with adjacent dining area and a two-entryway, chef's kitchen; the excellent floor plan offers a split bedroom layout for privacy and a fantastic backyard! The master suite boasts a newly updated dual vanity, walk-in closet, fresh paint, and high ceilings. There is also a junior suite; a recently upgraded 25 SEER HVAC unit; and, a 12 panel, owned solar system. 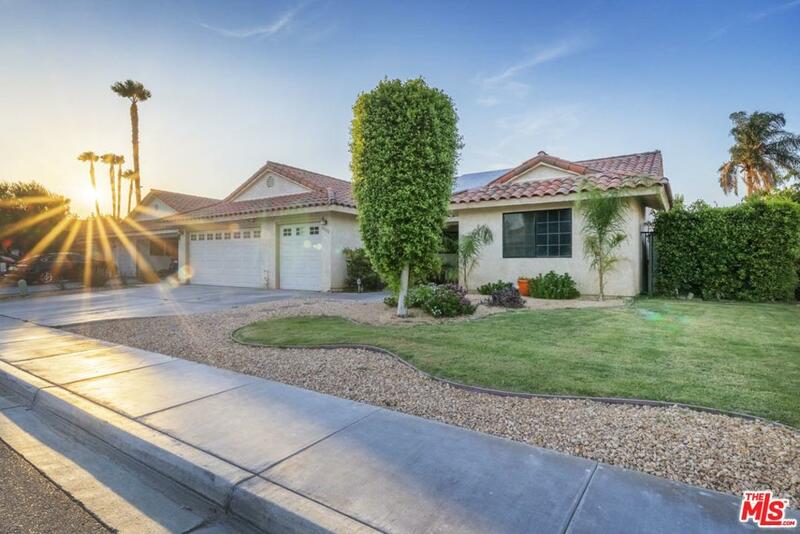 Only minutes to the nearby elementary school, golfing, I-10 and downtown Palm Springs - this location is A+! All your friends and family will love creating memories in the deluxe pool that you have to see to believe! So many great energy efficient features and you own the land - no HOA! CONVENTIONAL, FHA, VA and FANNIE MAE HOME READY buyers are welcome! 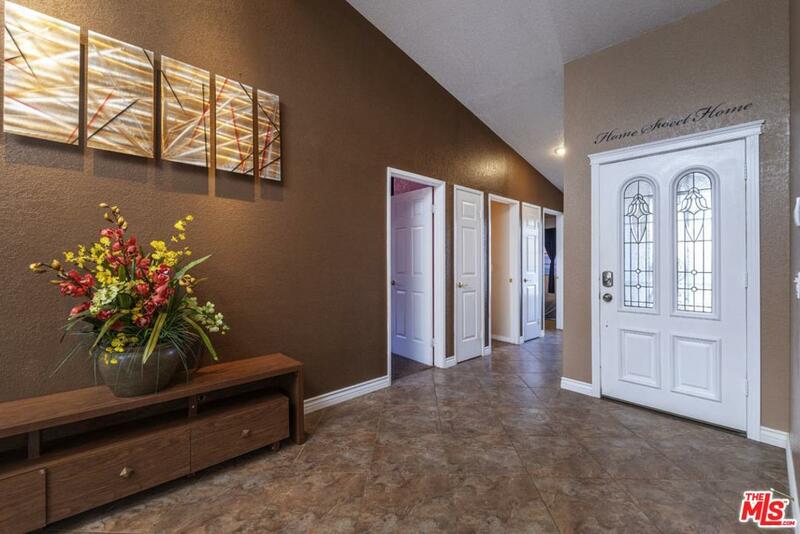 Listing provided courtesy of Conrado Delagarza DRE#01995374 of Redfin.